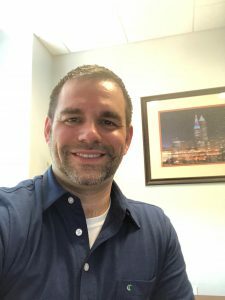 GCFC Member and event supporter Jon Wagner is a lifelong Clevelander who is excited about all of the great things happening to revitalize the city. A large part of that revitalization is the work that the Greater Cleveland Film Commission is doing to increase media production and create jobs not only in Cleveland, but in all of Northeast Ohio. Jon also says that under President Ivan Schwarz’s leadership, the GCFC is “absolutely one of those groups”. GCFC Partners around Northeast Ohio are also among the few critical groups making positive impacts. Together, these groups are helping to further realize the GCFC’s vision of strengthening the region’s workforce, supporting the media production industry that’s already here, and attracting more media production to the region to increase economic development for all of Northeast Ohio. Help the GCFC and support film in Cleveland by becoming a member like Jon. Click HERE for member info. Your membership creates a direct economic impact by making the GCFC’s movie attraction efforts, workforce development events, internships, and our statewide advocacy all possible.